Since Floyd Mayweather's Money Team first heard of Friyie's 2016 single of the same name, the Jane and Finch artist has been weaving his way through studios and the most anticipated boxing matches in history to nourish his musical endeavours. Three years later, the fruits of his labour have come through his latest effort, ANF (Ain't Nothing Free). The bulk of ANF weaves in and out of luxurious living and the daunting reality that, no matter what it is, nothing in life is free — and sometimes, living lavishly also comes with a price. 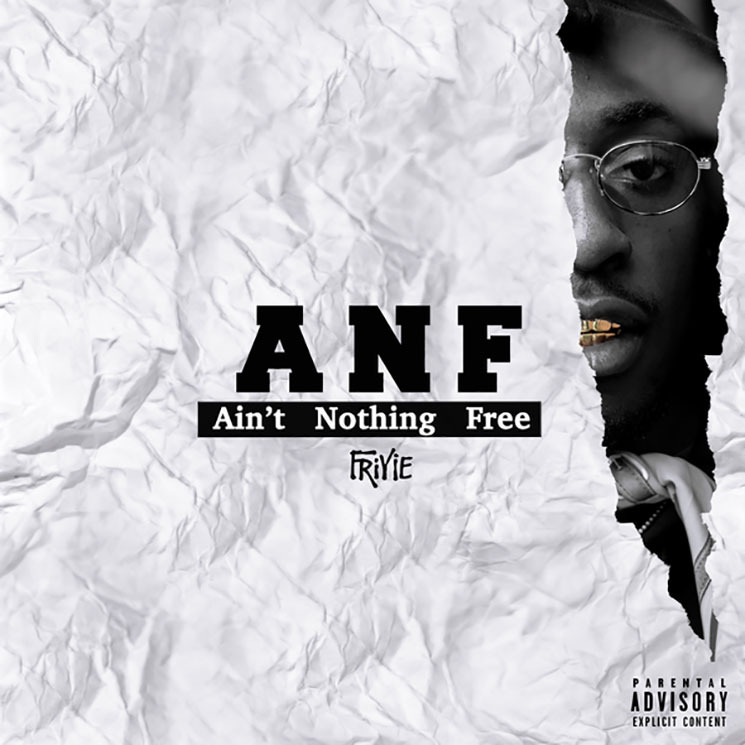 Friyie doesn't shy away from features on ANF, and rather than being overshadowed in any capacity — especially by "bigger" names Tory Lanez on the smooth "Stay Down," or Roddy Ricch on the dark and somewhat-seductive "Hop In" — he remains the main star power and matches their energy, exuding a collaborative effort sometimes lost in features. Similarly, in addition to the big name features, Friyie calls fellow Finch rappers NorthSideBenji and Booggz to assist with "On Wax" and "Superpowers," respectively. As songs like "Glizzy On Me," "Elite Freestyle" and "Rockstar" (featuring Mississauga's Meeno Giinchy) allow Friyie to flex, there's a level of lyrical wisdom and song arrangement that transforms the songs from boastful anthems to well-rounded stories. Friyie's deliveries are poignant, melodic and ultimately rounded out by catchy hooks and self-reflective verses. Though he makes it clear that money is the motive, Friyie also puts forth the power of manifestation ("Millions"), hard work ("Open Liquor") and loyalty ("Who Can I Trust"). But perhaps one of the most powerful moments on the album comes through the "Metrohousingbaby" interlude, followed by the very raw and introspective "Make It Out," which tells a come-up story that lead Friyie to where he is today.